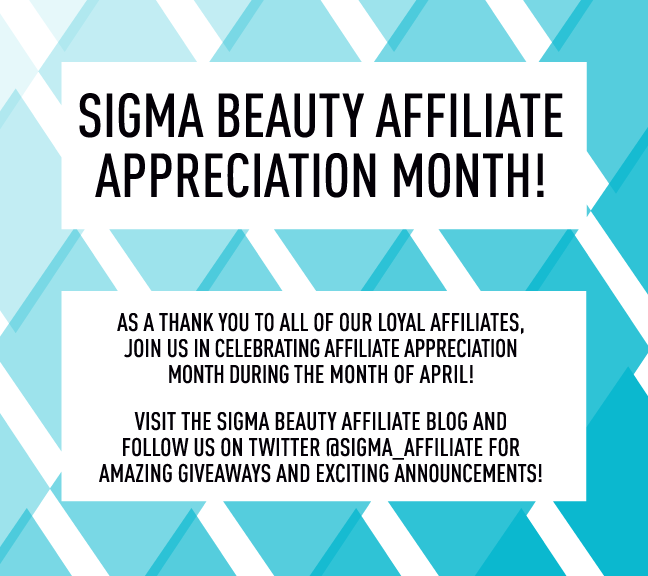 Sigma Beauty Affiliate Program: April is Affiliate Appreciation Month! April is Affiliate Appreciation Month! Super anxious! I wonder what comes around?? Cool maybe a nice discount to buy brushes !!!! I can*t wait!!!! I am so Happy!!!! Very nice! Look forward to see whats to come! Thank you! New FREE Gift with Purchases Over $30!